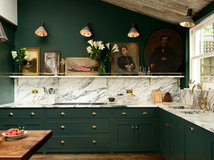 Kitchen islands are often designed with cupboards, drawers and shelves underneath the bench for storage. But what about over the island? 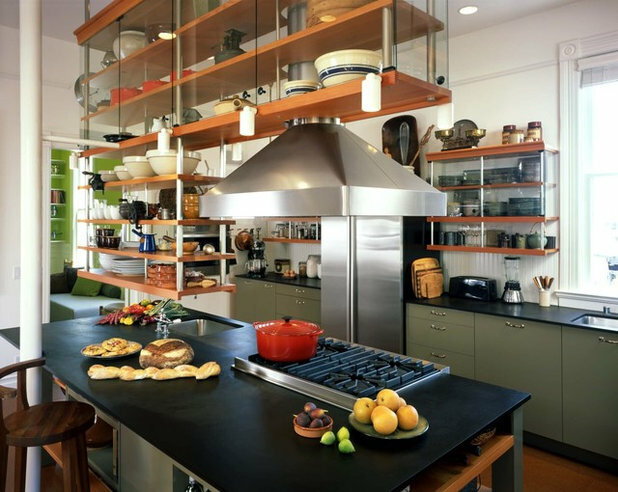 A shelf or unit suspended over a kitchen island – otherwise known as a flyover shelf – can not only be used to provide lighting and integrate the range hood above the benchtop, but can also store a variety of objects, keeping them out of the way while still within handy reach. 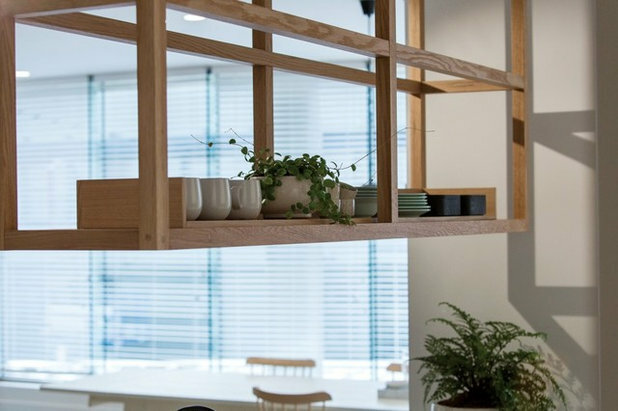 These flyover shelves optimise storage and create space to put your favourite things on display – which one would work well at your house? 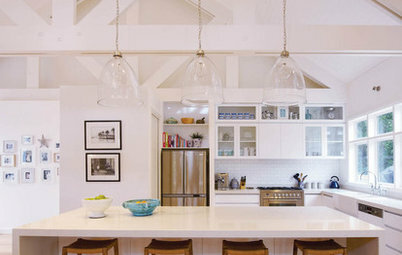 Cookware is stashed above the kitchen island and within handy reach of the stovetop with this multi-purpose flyover. 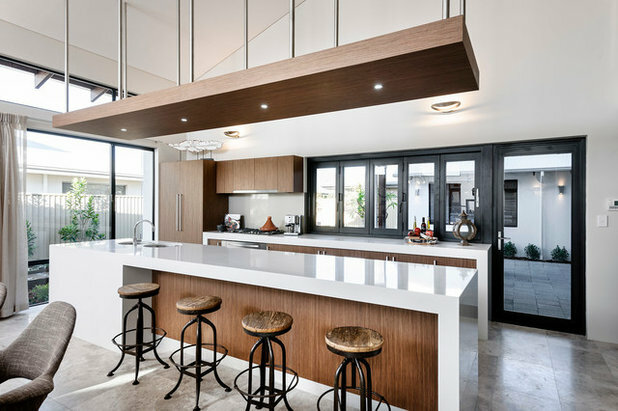 It integrates the range hood and downlights for use over the island, while providing plenty of space for casserole and baking dishes. 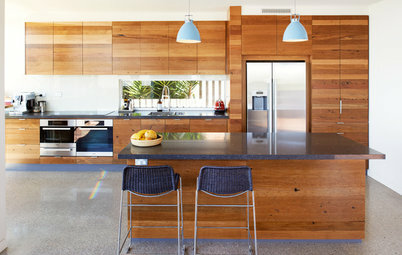 And the timber and metal design blends in with the rest of the kitchen as well as the aluminium-framed sliding doors. 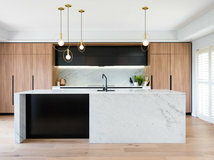 The suspended timber unit is a standout feature of this open-plan kitchen and living space, and is used for keeping crockery such as mugs, bowls and plates stored safely away. 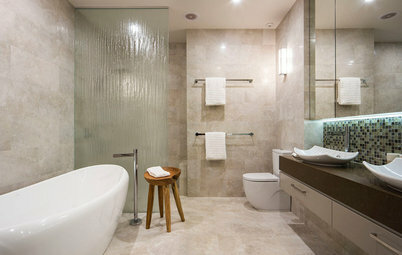 Both the natural timber and ceramics have a handcrafted feel and suit the pared-back Scandinavian style of the room. 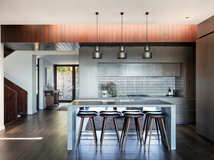 If your plates, glasses and vases deserve a little more attention, a flyover can turn your collection into a kitchen feature with a restaurant vibe. This flyover is for the home entertainer. 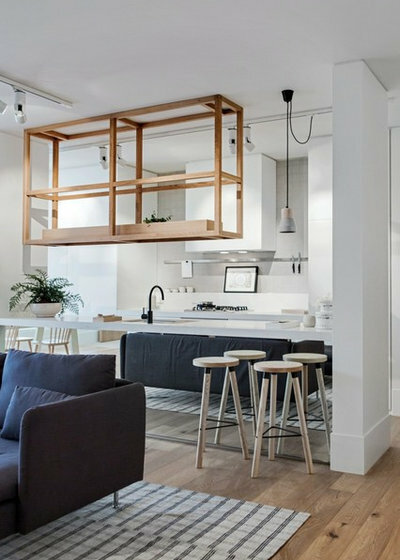 Space can be at a premium when it comes to apartment living, so instead of finding extra room or buying additional furniture, a kitchen island flyover can double as a bar. 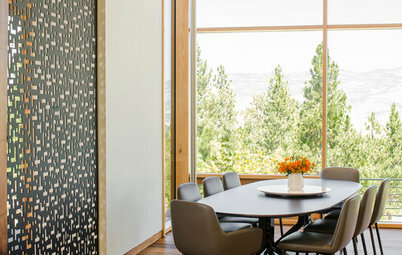 It keeps liquor bottles and glasses out of the way, while providing functional and atmospheric lighting over the island. Flyover supports are secured between the trusses in the ceiling to cater for heavy loads. 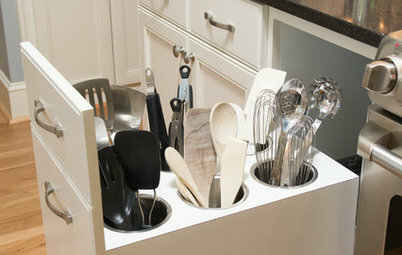 Less a shelf or flyover and more a ladder or rack, this storage solution is ideal for hanging pots and pans. 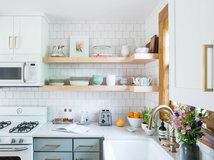 Bulky cooking and baking items can often take up precious drawer and cupboard space, but this suspended solution keeps them up and out of the way with a series of simple hooks. 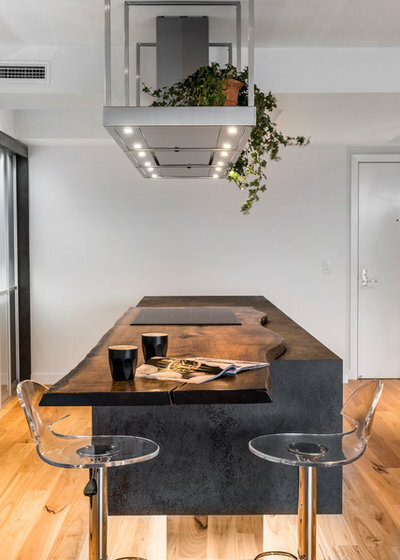 A flyover needn’t be used just for kitchen items as this one proves, instead serving as a shelf for trailing plants. 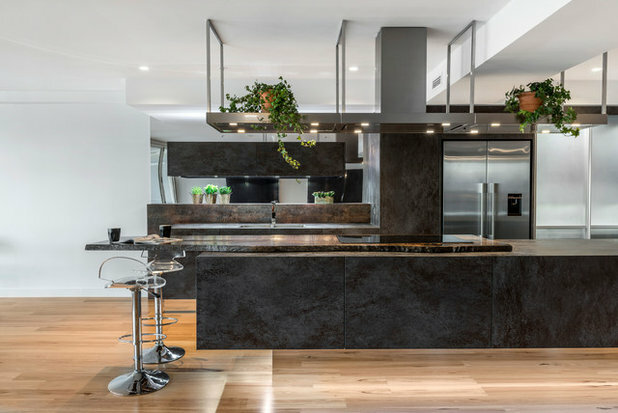 The green leaves and terracotta pots soften the dark porcelain and timber bench and sharp, shiny edges of the stainless-steel range hood and flyover, giving the kitchen some extra life and colour. 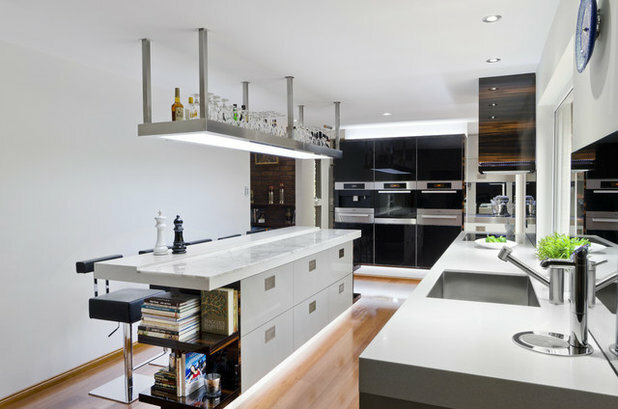 The flyover also integrates lighting to illuminate the work surface. 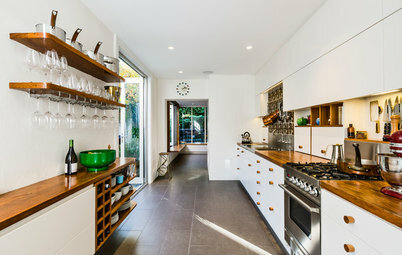 An open-ended unit above this kitchen island is used to store garlic and could easily be used for other food and ingredients, or cookbooks, like its counterpart below. 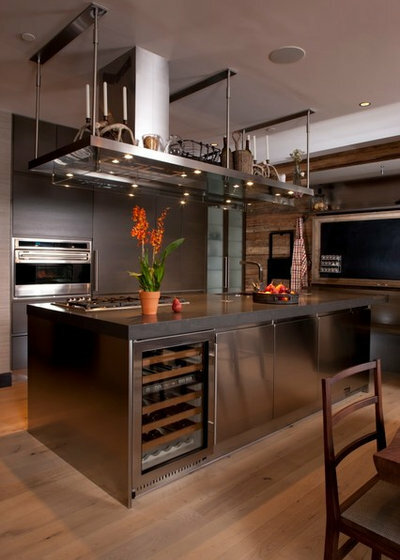 The timber unit also incorporates a range hood and complements the use of timber throughout the rest of the kitchen. 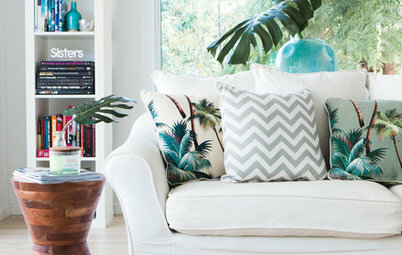 Candlesticks, vases, jugs and baskets are kept up, up and away on this flyover shelf. 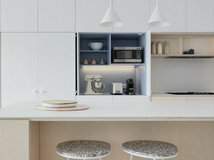 It’s for all the things you need and use, just not on a daily basis, and the functional display brings personality to a minimalist kitchen. 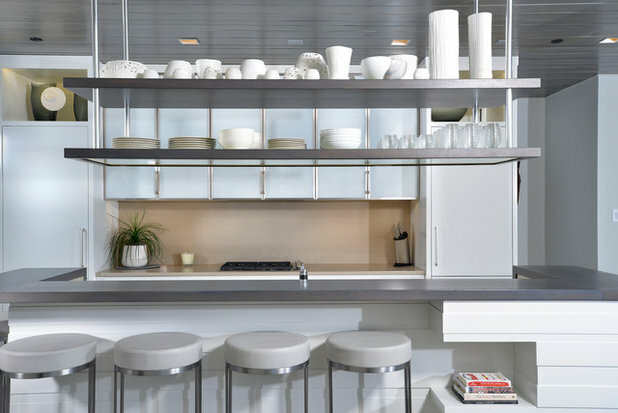 Making use of vertical space can create a surprising amount of storage. 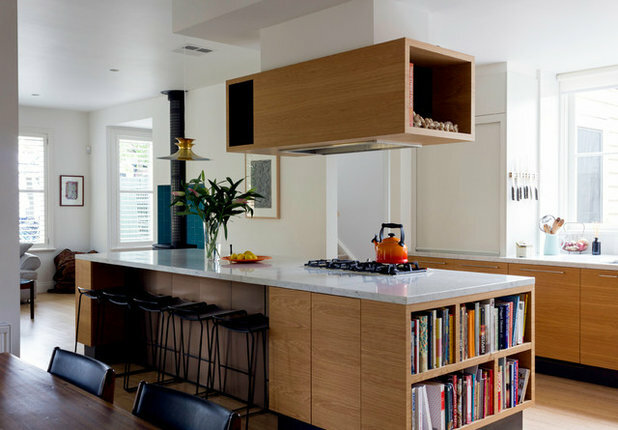 The shelving suspended over this kitchen island provides a home for oft-used items lower down, and glass doors protect items on the upper shelves used less often from dust. 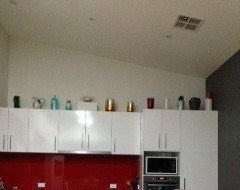 Do you have a flyover shelf in your kitchen? Upload a photo to the Comments section below. Agree with Bellacatandme. 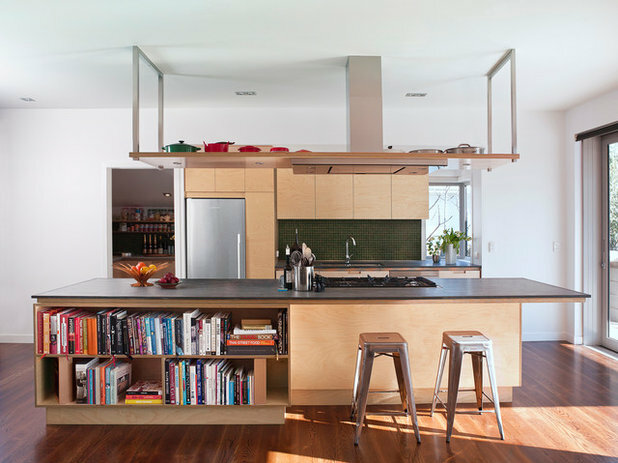 I've had homes with open shelving and will never do it again. 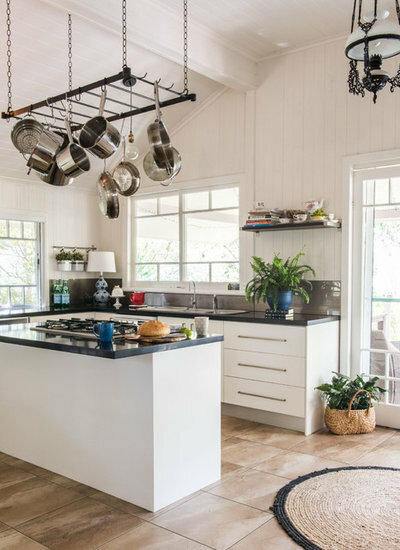 You will always have dusting - and it's sticky dust in the kitchen. 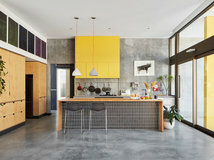 Clean and uncluttered with just a few special items on show for me. Agreed re open shelving. It seems to be a current trend but to heck with the dusting! 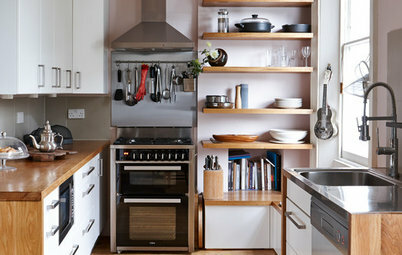 Still really want a suspended shelf to hang pans off though. Can anyone tell me where to find them?? 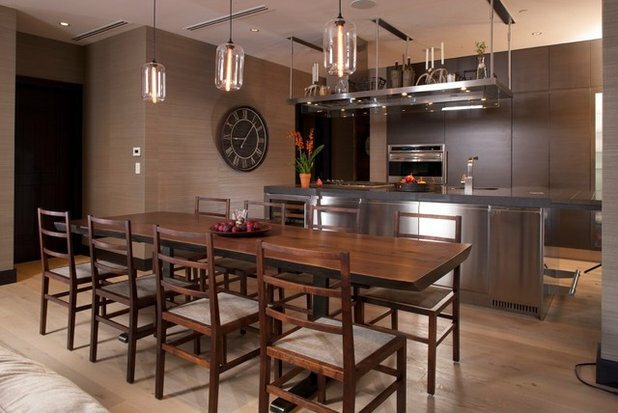 Hi Rebecca I have displayed large vases above wall cabinet. 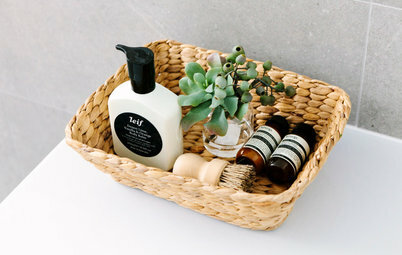 Not sure how it looks, but this seems a good use of the space!